Alex Belardinelli, Uber's former head of comms for Northern & Eastern Europe, has joined Facebook as communications director for Northern Europe. 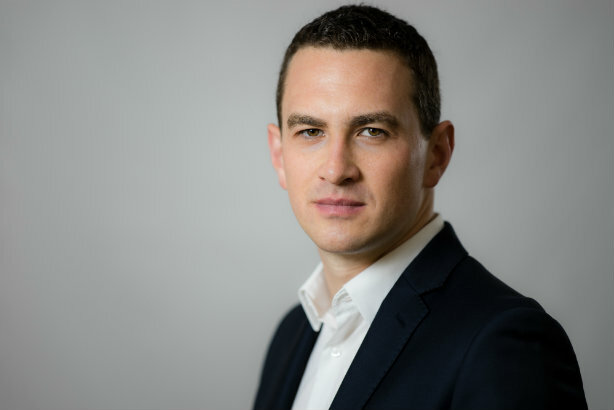 Belardinelli (pictured) reports to EMEA vice president of comms Chris Norton in the role, which largely replaces that previously held by Anouska Ruane but covering a slightly different region. Writing on his personal Facebook page, Belardinelli said: "It's been an incredible ride with Uber over the last three and a half years, helping the company through a vital period of change - from free illness & injury protections for drivers and new safety features to the Clean Air Plan to go all electric in London by 2025. "But it's time for a new challenge, which is why I'm so excited to be joining Facebook as it embarks on the next phase of its journey. Really looking forward to working with the great team here as comms director for Northern Europe." Belardinelli officially stepped down from Uber at the end of 2018. The former press secretary to ex-shadow chancellor Ed Balls joined the ride sharing company in 2015, initially as head of comms for the UK and Ireland. He was promoted to Northern & Eastern Europe comms chief last year, prior to the appointment of Lottie Dominiczak as head of communications for the UK. Ruane left Facebook in November 2018 to become director of comms, EMEA for Tesla. The social media giant's VP of communications, Caryn Marooney, announced last month that she was leaving the business after eight years. Marooney said in a post on the social network that she is working with head of policy and communications Nick Clegg, as well as CEO Mark Zuckerberg and COO Sheryl Sandberg, to search for a replacement. Facebook endured an annus horribilis in 2018, seemingly constantly apologising for a PR crisis or being hauled in front of committees to explain its behaviour. Its problems have continued into 2019. In recent days it has received criticism, alongside other social media platforms, for failing to adequately stop the spread of a livestream video of the fatal shooting at two New Zealand mosques on Friday. Facebook said it had removed 1.5 million videos from its site within the first 24 hours of the livestream.